Just when we think Sector 29 has it all, we’re thrown by yet another, divine-sounding food experience we can’t wait to try. 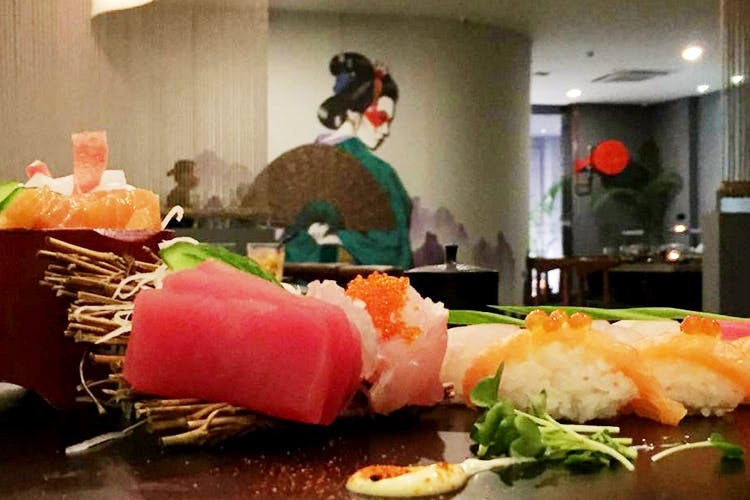 Case in point – Nagai, a Japanese restaurant and bar that keeps things authentic, while giving everything on the menu a fun spin. What are we dying to try? Everything, really but the Ceviche Nagai with Prawns and Sea bass probably makes it to the first cut. The menu is a balanced mix of both non-vegetarian and vegetarian dishes – crispy lotus stem, okra, aubergine and tofu find equal representation. The piece de resistance at Nagai, like at any great Japanese restaurant, is their sushi and sashimi selection. Two pages long, we need multiple platters of all the good stuff. A meal at Nagai will also make your IG feed pop – their selection of desserts, including Matcha, Millefeuille and Semifreddo, definitely makes them stand out from standard Japanese/Asian restaurants where dessert is usually limited to the occasional Date Pancakes. Lookin’ good, Nagai. If you’ve been, tell us know what you think!